This is a guest post courtesy of Amanda with her take of the top 5 oddball (yet oddly effective) promotional items you might want to consider implementing for your business and brand. I personally love the fuzzy frizzy finger duster and the magic answer ball. Another cool item I’ve seen used in the past are those small round rubberish things that people can use to twist the lids off of jars? TOTALLY handy if you’re like me and can’t open a jar to save your life. Used anything unique or odd ball in the past to help promote your business or create brand awareness? Drop your thoughts in the comment section below this post and share. With the increased popularity of social media and online marketing, face to face meetings with clients or prospective seem to be dwindling. Many companies would prefer to send an email newsletter or send a tweet to help gain visibility because it’s easier (and in many cases more effective) than hosting an actual event. Social media and online marketing are extremely important, but face to face meetings are not to be forgotten. Hosting a company event allows you to better negotiate and sell because you are speaking to someone directly, and it allows you to hand out business promotional items. Once your company has decided that hosting an event will be beneficial, thinking about business promotional items is the next step. Brand Awareness – People will constantly be reminded about your company if they are given a useful, yet promotional item. Contact Information – Many businesses put their contact information on promotional items, much like a creative business card. Cost – Promotional items do not have to be expensive, and they can usually reach a large audience. If the items you offer are items people can really use, you will find that you’re probably getting more exposure than if you were to send out a generic email marketing message. Although many think of business promotional items as something cheap and something a local company would do at a county fair, business promotional items can actually be extremely professional. What you want to give away to your clients or future clients is up to you. When it comes to choosing business promotional items, it’s best to go custom. In other words, stay away from the boring plastic pens and oversized T-shirts and go for something with a little bit of personal. In general, a business promotional item should support your brand image, target the customers you want (not just those that you have), and be given out in a professional manner. 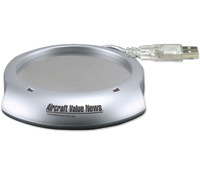 Below lists a few unique business promotional items. Everyone knows that computer screens can get very dusty, so some companies give away personalized computer dusters. You can put your company name and contact information on the back of the duster, so when it is being used those who attended your event will be looking right at this information. 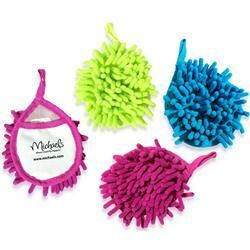 Below is an example of The Frizzy Finger Duster. If your company targets businessmen and businesswomen, you’re likely to come across some stress. This makes a stress ball perfect for your audience and one that will probably be used during their work day for a long while. This means that your company will always be remembered when your customers are daydreaming in that place where daydreaming happens most—work. 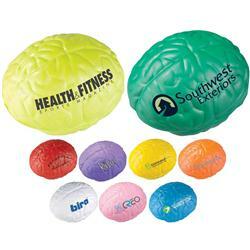 Below is an example of stress balls from Adco Marketing. This isn’t quite as strange as some other business promotional item ideas, but it is certainly effective and stays away from overly generic. 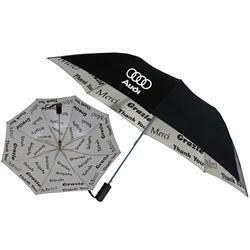 You can put your company name and information either on the underside of an umbrella or on the outside. It doesn’t matter what your target audience is with this item because if someone needs an umbrella, they are using the umbrella! Below is a photo of an umbrella from Adco Marketing once again. This item works great if you’re trying to appealing to a younger crowd. 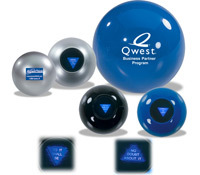 You can put your logo and information on the answer ball and watch your customers and potential customers have some fun. Certainly weird, but definitely effective. Below is an example of a magic answer ball from Quality Logo Products. 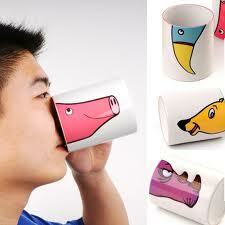 This is one of the strangest business promotional items I have ever seen, but it’s a little bit intriguing. Your clients and customers will go crazy for this item. It plugs into a USB port on your computer and will keep your coffee (or beverage of choice) warm while you work. Brilliant! Below is another example from Quality Logo Products. The most important thing that a company can do when planning out different promotional items is think about the audience. You might think something is really cool or you would use it all the time, but your audience might not. You want promotional items to be something that people will use so that your brand gains visibility. In some cases, the weirdest items are the key. Have you ever used a business promotional item that was a hit? What was the item and why did it work so well? Let us know in the comments below! Amanda DiSilvestro is a graduate of Illinois State University. Although she graduated with an English Education degree, she found herself working as a full-time blogger at Highervisibility.com, nationally recognized as one of the top seo firms. Connect with HigherVisibility on Twitter to learn more!